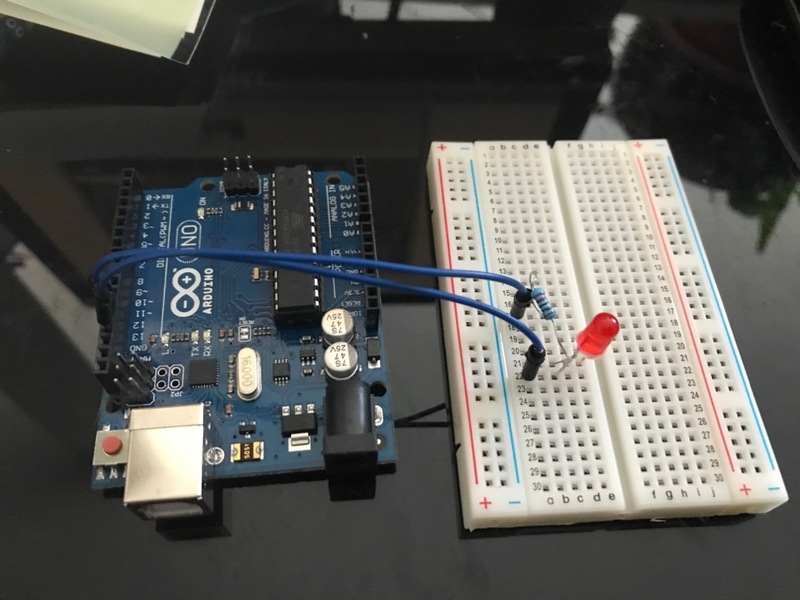 Last week my dad challenged me to make the Arduino UNO do something. So I chose to make a light blink. Now I will tell you exactly how I did it. First, I had to E-Mail dad to ask him where the USB cord was because my mom did not know. Next, I had to go online and look up how to do it. Then, after going to a few different sites I finally went to a YouTube video https://www.youtube.com/watch?v=YWY_Is0L7fE and a man who goes by EEEnthusiast showed me how to write the code. Last, he showed me how to set up the wires and the resistor so that they made the light blink. First, I went to dad’s office to find a USB cord but I could not find any because the light was out so I gave up and looked in mom’s office but I still could not find one that would fit. Then I had to look in the playroom and in my room, I could not find one that was not connected to anything, so I went to mom to see if she knew where one was but she didn’t and told me to E-Mail dad. The next day I E-Mailed him and he replied and told mom where to look, so we finally found one. before I found that video I mentioned on YouTube. 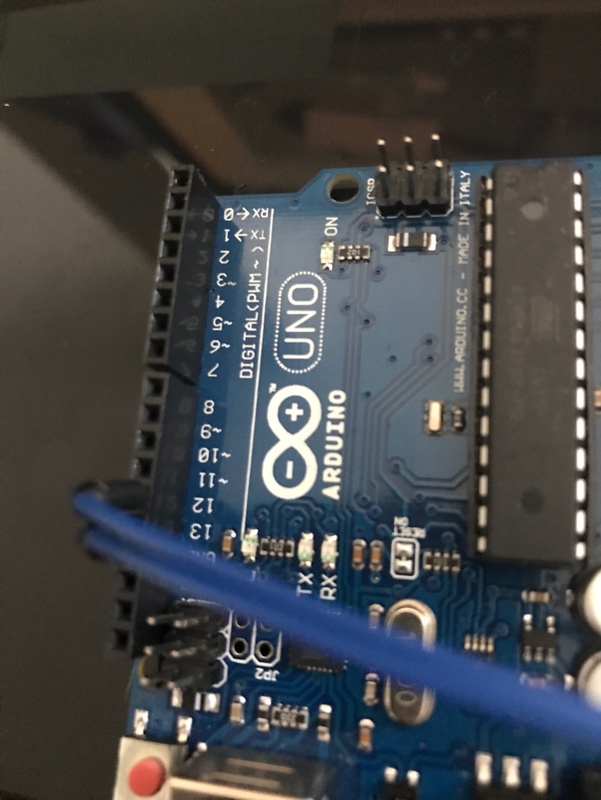 So, I had to type this into the Arduino IDE and then the computer proofread it. I got a few error messages. I fixed them so they are now correct and then I uploaded it to the Arduino. When that was done I hooked up the wires to GND and 12 on the Arduino and hooked them up on the bread board so GND went to a-17 and 12 went to a-22. Then I put the resistor in to the bread board on c-17 and c-21. Then I put the LED light on the bread board with the longer side on c-22 and the shorter side on e-21. In conclusion I really liked doing this because I had to figure it out on my own. The hardest part was trying to find the USB cord with the right connector because it took about 2 days to do. The easiest part was hooking up the wires to the bread board because it only took about 10 minutes. 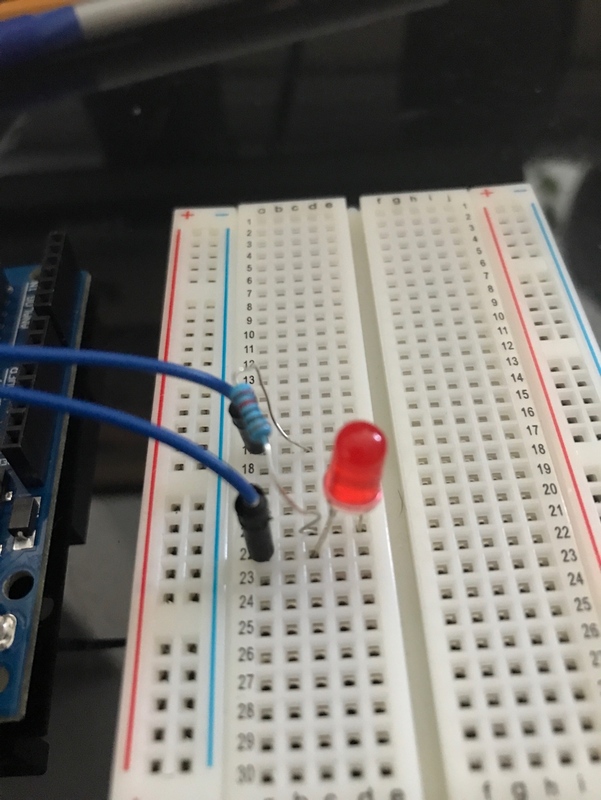 And that is how I got an LED light to blink using Arduino.